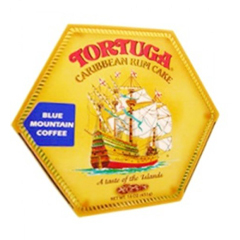 This rum cake comes vaccum sealed. It comes in seven different flavours. Pineapple, Original,Blue Mtn Coffee, Banana, Coconut, Chocolate and Key Lime.You choose, with our foods we make you spoilt for choice. Goes well with our Blue Mountain Coffee. Weight 16oz /1lb. Also available in 33 oz cakes. 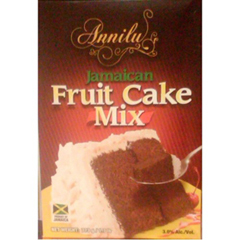 Delicious ANNILU boxed Jamaican fruit cake mix includes fruits and dry mix that you only need add the ingredients on the Annilu box to make a quick and tasty fruitcake for Christmas, weddings or a function that calls for the real taste of Jamaican fruit cake. Make your own butter or royal icing to dress this cake and you can have a quick Jamaican favorite cake in a few hours and without the hassle. These fruitcakes are vacuum sealed to preserve their freshness. 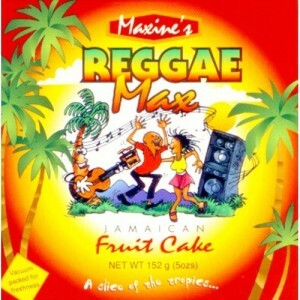 Jamaican fruit cakes are soaked in rum and are loaded with pureed fruits (raisins, currants etc). The cakes are made with real eggs and butter and the finest ingredients available. These dark rich and moist rum fruit cakes have rich flavors. Jamaica Pepper sauce hotsauce Dragon's breath Jamaican very hot. Grace Very Hot Pepper Sauce - 3 oz ea (6 Pack) - Restaurant table size. Pain is Good Jamaican Hot Sauce Batch #114 7.5 oz All Natural Hot Sauce. Jerk from Jamaica: Barbecue, Sides, and Spice, Caribbean Style.